In reality, the best time to teach your child a second language, is the same time that they’re learning the first one! “Kids this age are developing language skills rapidly, and they quickly absorb whatever they hear,” says Erika Levy, Ph.D., assistant professor of speech and language pathology at Columbia University Teachers College, in New York City. The thing is, kids this young can learn to understand new words in multiple languages very quickly. Also, it doesn’t require private tutoring or language classes, even by watching certain shows such as Dora the Explorer or even Sesame Street which teach basic Spanish words, for example, a child can pick up on a new language. In today’s ‘global’ world, it’s even more important to give your kids an edge, and have them be bilingual. It also has the carry on effect of educating your child about other cultures in the process. 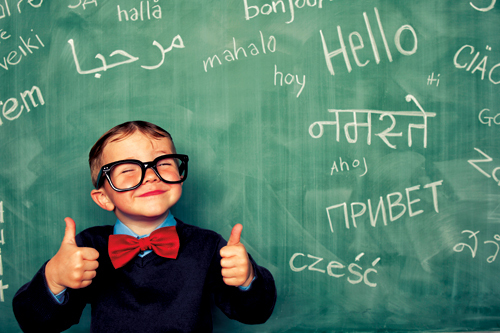 Here’s how to get your little linguist to begin learning. Start – The earlier you introduce a new language, the better, as it will be easier for your child to pick it up, as the ability to distinguish phonetic pronunciation differences is the best before three years of age. Even just listening to a tv show or song in another language, is a great start. Create a casual learning environment – Hearing people speaking another language fluently is the best environment or a potential bilinguist to be in. It will make it far easier to pick up, hearing the language in its natural conversational tone and accent. If your babysitter is bilingual, encourage him or her to speak that language to your children. Teach a word at a time – The most basic way to start is teaching your kids a word at a time in both languages, such as pointing to an item and calling it by its English and then other languages name. The only way to become a true and fluent bilingual person is by immersion, such as being around a person who speaks it fluently and often. Here’s some bilingual house tips. 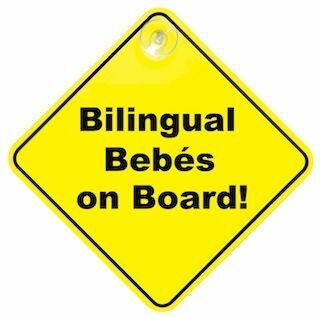 A great way to do this if one or both parents are bilingual, is to speak one language to one parent, and another to the other. The other ways to encourage another language is to take your child to that country on a holiday when appropriate, and engrossed them in that environment and language. You’ve be amazed what a couple of weeks can do! Do You Know What Gifted and Talented Really Means?